Samsung has spent a considerable amount of time researching and building flexible displays but now they need your help to figure out exactly what to do with them. Starting August 29, the company will be accepting business plans from innovative designers, hardware engineers and entrepreneurs as part of a contest with cash rewards totaling nearly $20,000. Those interested in entering the Samsung Create: Flexible Future Business Plan Competition will need to take a number of factors into consideration. Samsung outlines the key requirements of the business plan which include answering questions like what problems your product solves for the end user, why your product is better than the competition and how often it would need to be replaced by the consumer (estimated upgrade cycle). The contest runs through October 6 with cash prizes of $10,000, $5,000 and $2,500 for the top three designs, respectively. Winners will be selected by a panel of judges that will take into consideration the importance of the technology in the core value proposition of the product as well as exceptional design, realistic hardware assumptions and a viable business plan. Many believe flexible display technology is the future… but of what? At present, they aren’t exactly feasible for smartphone use as the supporting hardware isn’t flexible. Smartwatches seem like a good fit but we suspect Samsung (and likely several others) are already keen on this idea. 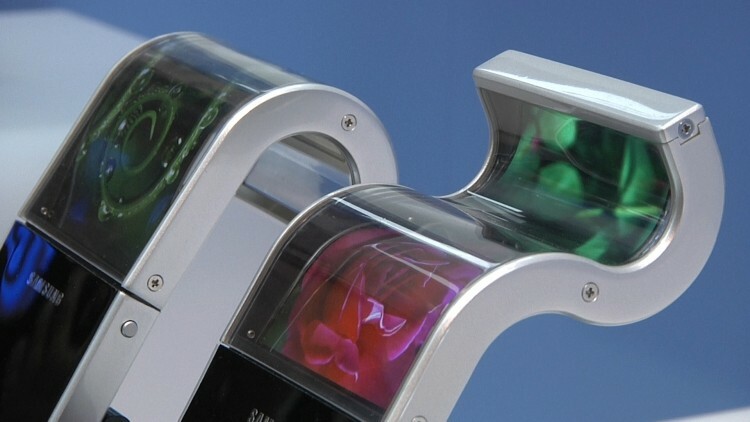 Can you think of any viable market or product where a flexible display would be an ideal solution?